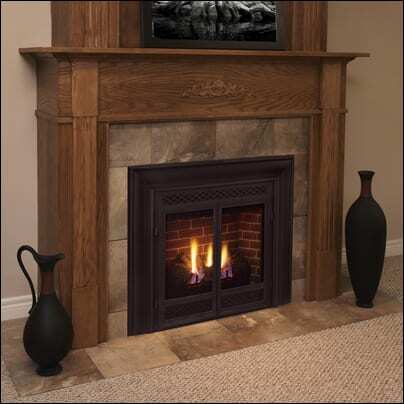 This hearth surround was hand-faced by artisans at Granicrete. Designer Maria Killam, CMG, used shiny orange paint around and over the hearth here, for a bold look you can simply replicate with any favourite hue. This modest-size living room had loads of potential in the beginning, apart from one main problem: The focus in the room was an enormous, lackluster hearth. The hearth is double-sided, so I designed the mantel to wrap utterly across the hearth box. In many older houses where large brick fireplaces prevail, this may pose a problem. Daniela managed to astutely improve the fireside with the panels, instead of overshadowing it. I took a while planning, because this hearth was positioned within the unfinished walk-out basement. Fireplaces in their most elementary type, provide warmth and comfort. It is tremendous rustic, and part of the door was chewed by cows or horses, which makes an excellent story, and it makes the door look rustic and authentically outdated.